Having your Senior photos done is a huge deal. I totally get it! 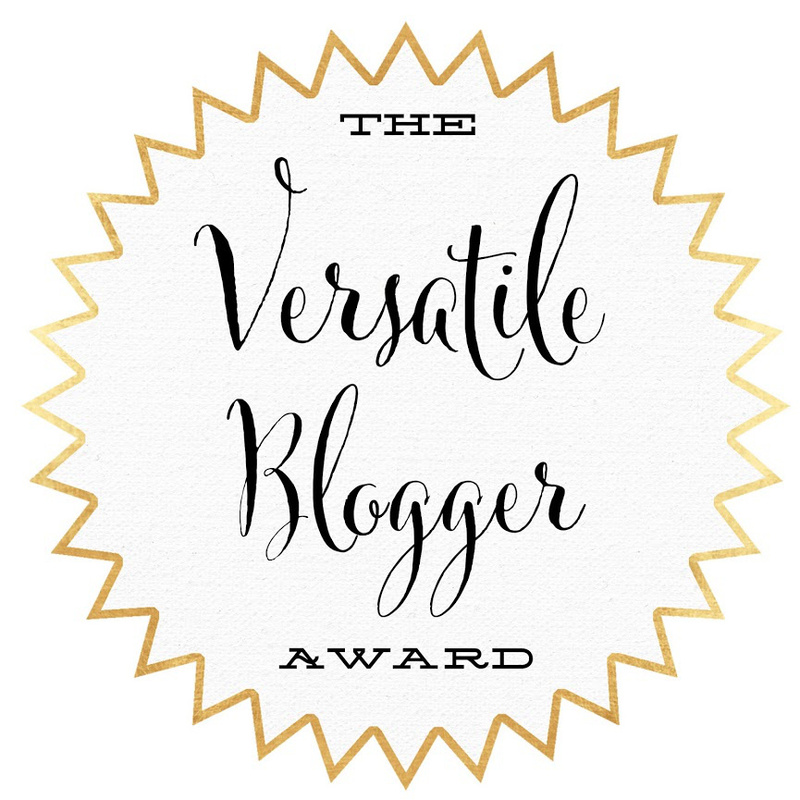 It's a once in a lifetime kinda thing that you want to capture and hold on to, for yourself, mom, grandma, uncles, besties...and the list goes on, and on! 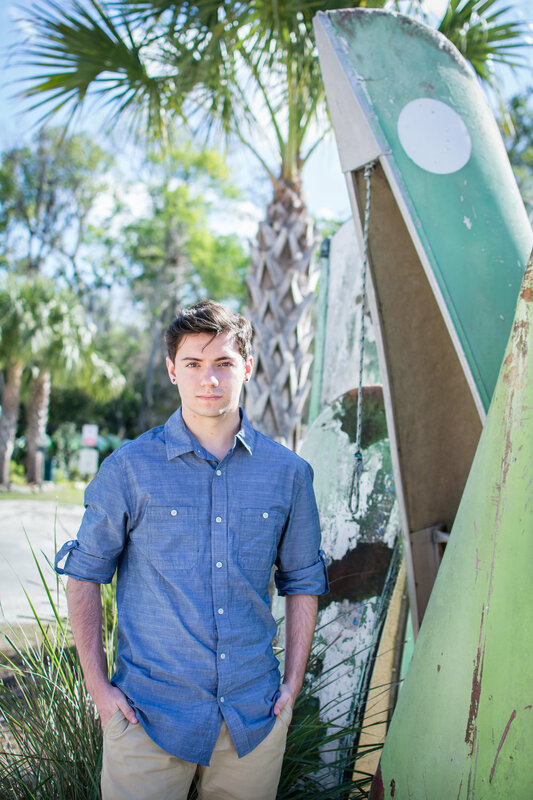 Well, this High Senior came all the way from Upstate New York to have his Senior photos done in sunny Florida, and to visit his soon to be college campus. He specifically wanted a laid-back, tropical feel with a touch of palm trees, since he doesn't have them in Upstate New York. He was really excited about his shoot and he was feeling very confident about how he wanted to portray in his photos. Did you know? 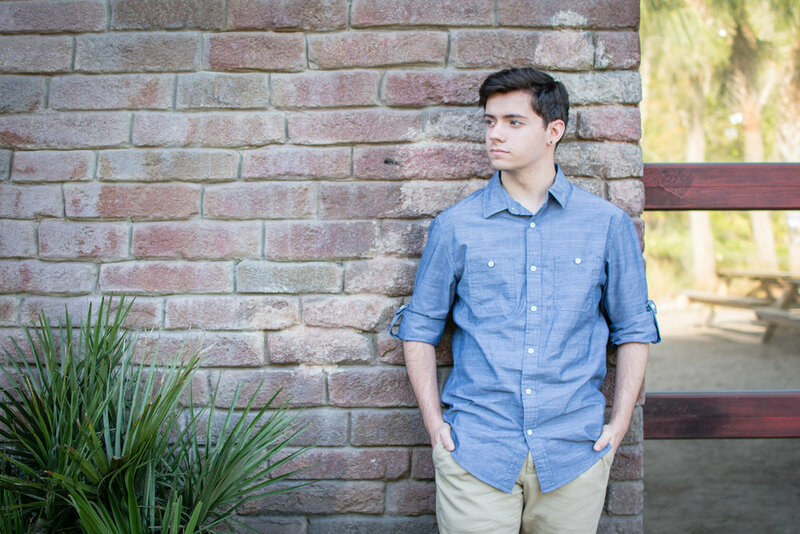 High School Senior Photos are booked mainly during the summer before starting your Senior Year! When Marc's mom gave me his list of preferences for his shoot, I instantly thought about Wekiva Island in Longwood. They wanted a place near Altamonte Springs and this was just THE perfect place! Wekiva Island has a little bit of everything tropical right within just a couple of minutes from Altamonte. I love Wekiva's wooden chair, the brick wall, the canoes, the sand, and all the simple beauty surrounding the Island. Senior Sessions are a full of diversity and uniqueness. And although Marc decided to go with just one outfit, I somehow managed to capture a variety of images that really give a sense of his personality and I complimented with the look and feel that he asked for. 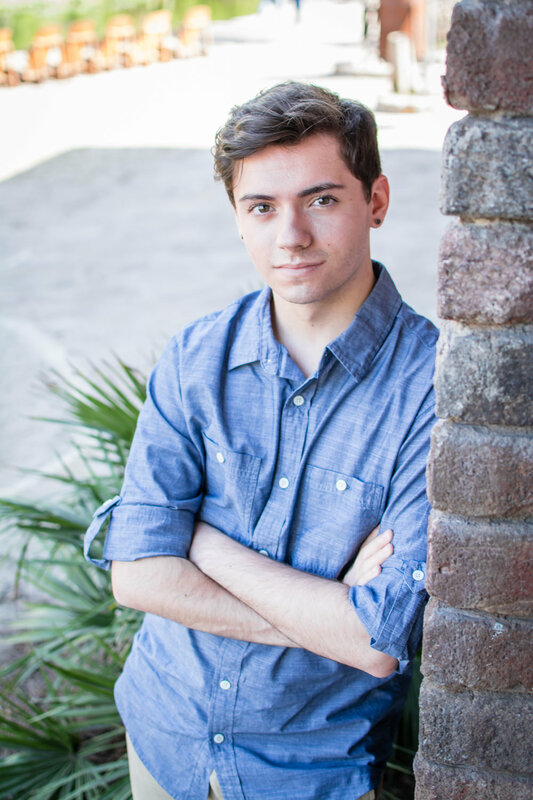 Marc is a 2019 Senior who will soon be moving to Florida. 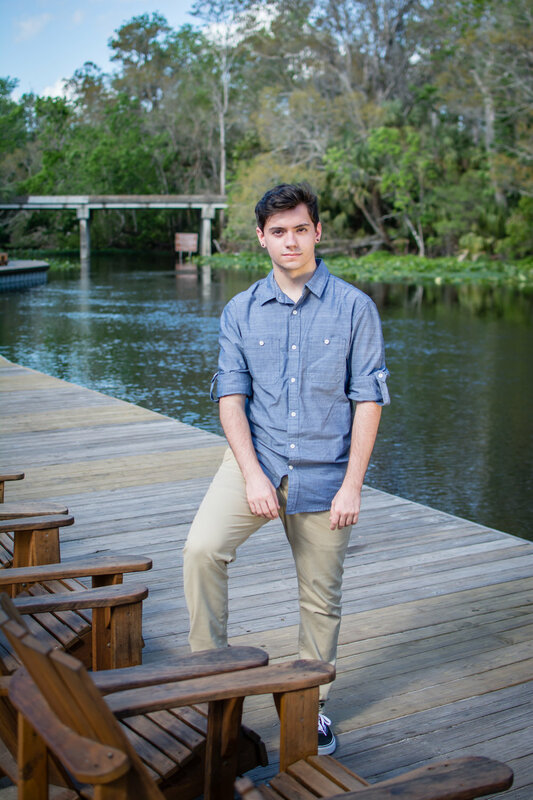 He loves Florida's weather, the great variety of fun things to do, and both Marc and his mom, have a particular love for Altamonte Springs. And hey, being an Altamonte girl, I can relate! 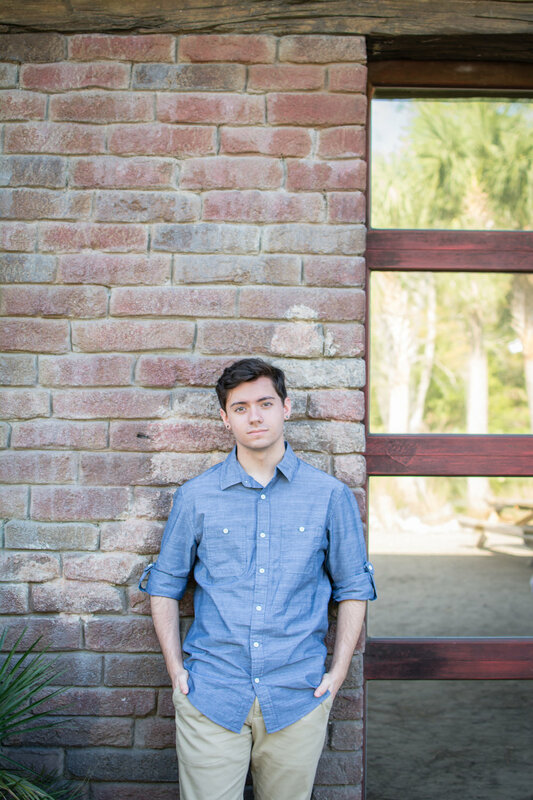 Here's some of my top picks from this Wekiva Island Senior Session.